Glucosamine – Should I take it for my joints? Many clients ask me whether it’s worth taking glucosamine after hearing that it’s good for joint pains. Glucosamine first became fashionable over a decade ago. It is a substance found in cartilage in our joints so the assumption is that consuming it as a supplement will help improve our joint cartilage. Conditions such as degenerative back pain, and osteoarthritis of the hips and knees, have in the past had low level scientific evidence of benefit in reducing pain in these weight-bearing joints with osteoarthritic changes. I’ve even seen them recommended in Consultant Orthopaedic Clinics in the past. The British Medical Journal first reviewed the available evidence in 2000 and decided the jury was still out with an ‘inconclusive’ verdict with regards to how much glucosamine helps. Back then it was recommended with chondroitin. Since then better quality studies have been performed, most notably the GAIT trial (or Glucosamine/Chondroitin Arthritis Intervention Trial) published in 2010. This large, well designed trial studied over 600 knees and researched the effects of glucosamine treatments on both pain and structural joint damage. It often surprizes people that these two are not the same or directly related to each other. People can have severe joint pain with minimal joint damage, or conversely advanced joint degeneration but minimal pain. There’s also been a further review by the BMJ in 2010. So what do we know regarding glucosamine supplementation and what did the high quality GAIT trial find? · The trial found no statistically significant benefits of taking glucosamine (in a range of protocols) for either pain or protecting against joint damage. · No serious adverse events have been reported with glucosamine. · However, mild and infrequent side-effects include stomach upsets, constipation, diarrhoea, headaches, rash, hair loss, and puffy eyelids. If you experience any then you should stop taking it. · If you have a shellfish allergy this can be an issue as most glucosamine supplements are produced from shellfish. Non-shellfish versions are available. · Overall glucosamine is considered to be medically safe. Long term effects are not known. · People currently taking glucosamine and reporting benefit are not advised to necessarily stop taking it, however there is not strong enough evidence to recommend its use as a primary treatment. · Glucosamine supplements often have a high salt content so if you have high blood pressure or diabetes you would be best to avoid it. The detrimental health effects of high salt intake have a high level of scientific evidence. · If you are going to try taking glucosamine a 3 months trial course has been previously recommended to assess the effect. If it is helping then you need to continue taking it for continued benefits; if it is not helping then stop taking it at this point. · Previous guidance used to suggest taking it with chondroitin. The more recent better quality trials conclude that taking glucosamine in combination like this may limit absorption as the compounds compete together for absorption. Glucosamine Sulfate should therefore be taken on its own without any other compounds added (eg. chondroitin, MSM). Effects in reducing pain in OA were evident in the first few months, whether this is maintained in the long term is not known. · Glucosamine supplementation should not replace targeted physiotherapy and exercise which have a higher level of substantiated evidence for benefit. Physiotherapy improves pain for many people especially with mild and moderate osteoarthritis on x-ray findings. · Supplement quality (i.e. glucosamine content) varies widely so if purchasing go for a good quality brand to reduce the chances of this. All non-licensed medicines (ie. supplements) tend to have this problem. There’s been a meta-analysis of many studies in 2015 published in the Nature journal. It claimed significant effects for glucosamine with chondroitin. The issue with this? Many of the trials included were poorer quality than the GAIT trial and the improvement in pain was only 0.5 on a scale of 0 to 10. Hardly worth the expense and arguably insignificant. Glucosamine may help in the overall management of osteoarthritic joints but the evidence quality is low compared to physiotherapy and rehab. Glucosamine may be no greater than placebo or have very small effects. Many evidence-based guidelines do not recommend glucosamine as first line management however people already taking glucosamine and reporting personal benefit are not advised to stop taking it as it is considered to be safe. A significant caveat is the long term effects of a high salt intake which the supplements contain. Look after your joints and enjoy an active life. Don't skimp the rehab! I recently posted on my facebook page a blog from strongerbyscience.com on the why & how of tapering & peaking for athletes. It’s a good summary article, and here I have added some key additional research detail on tapering which was not included in the summary or post..
At the end of the day training can be a numbers game (how often to run, how far, how fast) and tapering decision-making should be too. So to help inform your decisions regarding taper variables here’s some of the known outcomes of tapering according to the research studies. Remember, the aim of tapering is to achieve a ‘supercompensation’ to the pre-taper training stimulus and the best race day performance you can achieve in the circumstance. And when training has been disrupted due to pain, illness or injury you may need to adapt your decision making to be ready on race day. How much does tapering improve race performance? Elite track athletes can experience 0.3-0.5% improvement in performance through tapering (Hopkins 2005). This gain can potentially be from 0.5% to 11% in non-elite athletes (Mujika & Padilla 2003). How much can a moderately trained athlete decrease training frequency in a taper and not adversely affect race day performance? Moderately trained athletes maintain physiological adaptations even when there is a decrease in training frequency of up to 50% during a taper (Bosquet et al. 2002, Mujika & Padilla 2003). How much can an athlete reduce training intensity during a taper and not adversely affect race day performance? During a taper, a training intensity of less than 70% VO2 max has been shown to maintain or reduce performance (no supercompensation occurs) (West et al.2013, Kiecolt-Glaser et al. 1998). During a taper, maintaining a training intensity of more than 90% VO2 max is associated with improved performance (supercompensation occurs) (Cook et al. 2011). Tapering protocols assume an athlete has reached a satisfactory training distance in the month preceding taper start date, and an undefined but decent number of miles in the legs over the preceding weeks & months. This is individual but typically considered to be a minimum longest distance run of 18-19 miles, and possibly up to 22 miles dependent on experience and the level of athlete (e.g. novice, intermediate, advanced, elite). If your longest distance is below 19 miles you should seriously consider withdrawing from the marathon – there are always more marathons. Be a smart athlete. What should a runner do when pain, illness or injury has disrupted training and meant that less training than ideal has been completed during the training programme (reduced training volume)? Consider using a short duration step taper or exponential fast decay progressive taper if there is decreased overall training volume pre-taper (Kubukeli et al. 2002), the latter has been shown to still lead to 3.95 to 4.1% performance gains on pre-taper performance (Zaradas et al. 1995, Mujika & Padilla 2003, Banister et al. 1999). Step tapers are often considered not to be as effective but if it means you can settle down or inflamed tissue or pain before race day then you may be good to go on the day as a result of a week's rest beforehand. There’s nothing like data to inform training (it should be science-based after all). However, even within science there is individual variability and some subjects form outliers falling outside the common responses. Having said that 95% of athletes will fall quite close to the research results (within two standard deviations in statistical terms). So use the science to make the right decision for you. The more you have trialled different tapering approaches the more you will know how they affect you; the less you have the more you should start from a scientific start point. And when training volume has been reduced pre-taper you may need to think differently – very little, if any, tapering research has been done on rehabilitating athlete’s, but we’ve all seen a big race where an athlete has had less than ideal preparation but performed well on the day (the higher the mileage you’ve done in the past and the more you’ve maintained high levels of conditioning the more likely this is). Enjoy running – train smart – successful athlete’s adapt to adversity. Be realistic , confident & ambitious, but not over-ambitious. Race day will lift you but preparation is key. In Part One I covered the 4 phases of healing process for soft tissue injuries. Now here’s how the athlete should manage a new soft tissue injury in the first few days with the POLICE regime. This is what all athletes should follow, from amateur to Olympic level. Protection – try to protect the injured body part. For example, wearing a good sports brace, don’t overuse the injured limb, even use a crutch for a few days if you are limping badly. Optimal Loading – many people think you have to completely rest a new injury; this is not the case. As soon as you are able to it is a good idea to load the injury gently within tolerance (so not wincing in pain, moving very abnormally, guarding it, or limping!). Gradual loading of soft tissue injuries has been show to promote a faster healing rate than complete rest, just don’t load it too much too soon. Let the pain levels and the quality of your movement guide you. Ice – take a packet of frozen peas, wrap them in damp tea-towel, and apply to the injured body part. Use a pack of peas big enough to cover the painful, swollen part and a bit more. National Guidelines say you should ice the injury for up to 30 minutes at a time but no longer. This should be done in the first 24-72 hours. Ice regularly but always have at least an hour’s gap between one ice pack ending and the next beginning. Icing a soft tissue injury as soon as you can after injuring it reduces the amount of cells that die as a result of the trauma and therefore limits tissue damage. The ice pack reduces the bleeding and swelling and means that the injury is less extensive than it would be, so the sooner you ice it the better! After 48-72 hours you don’t need to ice it anymore unless you think you are causing new swelling by loading it too much too early! Compression – applying a compression bandage to the injured body part reduces swelling and helps push swelling away from the injury site. If it is too tight you will get pins and needles or cold, numb peripheries (hands or feet) – remove the compression if this happens! Compression garments (such as Under Armour) can also be used but need to be good quality purchases to provide enough compression to make a difference. Elevation – rest the limb supported above the rest of your body (and above your heart preferably) for periods during the first 24-72hours. This helps to drain swelling away from the area and reduces bleeding in the early phases. This combined with compression and ice packs maximises your recovery rate from the injury. 72 hours after injury is a great time to see the physio for a specific diagnosis & to build a tailored rehab program for the injury, but it’s what you do in the first few days that helps change the prognosis for how it will take you to get back rehabbed to training and competition…...Use POLICE! the Inflammation phase – this typically lasts 24 to 48 hours for a milder injury but can be up a week plus for more extensive injuries. This is when the injured body part swells and that throbbing aching pain dominates. the Remodelling phase – goes on for many months as the new tissue becomes more and more well organised and gets biomechanically better and better structured. In Part Two I’ll help you understand how the POLICE regime helps the injury get better as fast as possible. Call the cops! There's been a lot misreported about Andy Murray's 'shoulder injury' & the magical effects of the physio. Based on what Andy said in the post-match interview & how the physio treated it here's a 'physio-eye view'. Andy reported that the pain was near his scapula and his shoulder felt tight serving. He was not pictured gripping his shoulder joint but over the back of the upper trapezius, into the right upper thoracic spine region. His physio manipulated his mid to upper thoracic spine joints, performed similar thrust techniques on the rib angles where they join the thoracic spine as well, and applied some brief trigger point pressure to his upper traps muscle (although this may just have been assessment) and his lats muscle under the armpit. We need every plane of movement available for the tennis serve action, and correct balance of muscle forces as we throw the racket head through the ball. The manips increase the spinal joint glide (needed for the mechanics of serving); drop the tone in over-active muscles (especially in any guarded muscles running from the scapula to the thoracic spine). The 'few good cracks' Andy reported are 'cavitation'- nitrogen bubbles bursting within the spinal joints. The manips also stimulate the brain to release powerful non-opioid pain relieving chemicals into the bloodstream, using nor-adrenaline pathways - increasing muscle recruitment - part of our fight-or-flight system. And a little trigger point pressure to be sure the upper traps & lats muscles have let go. Not so mystical! Not quite 'healing' (as nothing was torn or damaged). Nevertheless the effects were 'magic' - pain reduced or gone, moving well, great muscle control, focused & able to be on his game - the difference between losing 6 games in a row and winning 5 on the trot. Game-set-and match, Murray! 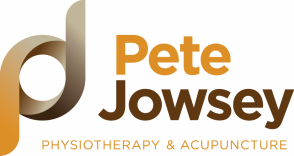 Well reasoned & well applied physio makes the difference. That's what you pay your physio for! Now to prepare well for the last 16. There was a very interesting editorial in the Acupuncture In Medicine journal last year discussing the de Qi sensation (pronounced De Chee) in Traditional Chinese Medicine and MRI brain scanning changes. Namely, that a course of acupuncture producing the needling stimulation sensation (De Qi) for chronic low back pain was shown to have a desensitising effect on the emotional centres of the brain involved in pain AND an activating effect on the sensorimotor areas associated with muscle responses to acupuncture. A desensitising effect on one area of the brain relating to pain and emotion AND an activating effect on another part relating to muscle response and movement. My blog in this series on acupuncture reported how acupuncture stimulates opiod based pain relief. This latest functional MRI scanning shows how 'pain processing' changes occur within the brain as a result of acupuncture. Image A shows active areas of the brain in normals when pain is stimulated. Image B shows the scattered brain activation in people with low back pain. Image C shows the brain activation patterns in low back patients after successful acupuncture treatment - notice how close to normal they are again and how different to before treatment. So pain can be changed via what is known as a 'pain matrix' in the brain. The images are fascinating because they show how the brain's pain activity becomes more localised and more normal in the brain as pain becomes better regulated . Photographic proof that acupuncture changes your brain activity patterns for the better! Myofascial Trigger Points, or simply 'trigger points' as they're also known, are tight bands of over-active and over-sensitive muscle fibres. Anyone can develop trigger points - due to poor or sustained postures, or over-using muscle for example through stress and tension or even fitness training. The existence of trigger points in muscles is now widely recognised in scientific studies. There are several theories to explain how trigger points cause pain, mostly due to a local 'metabolic crisis' within the muscle. Many people can have latent (painfree) trigger points but if they become active trigger points people experience recurrent or persistent pain. Massage, heat, ice, and foam rollers can all help but nothing gives a higher stimulus treatment than inserting a fine needle directly into the overactive fibres. What follows is a muscle twitch and deep aching pain followed by reflex relaxation of the trigger point and relief of pain. Simple advice and specific stretches can then keep the problem at bay. I've seen clients struggle with trigger point pain for months and then get one or two sessions of acupuncture and get rid of them. You don't have to live with the pain. A very quick and effective treatment - it really hits the spot! Acupuncture has been around for 1000's of years. The Chinese have different explanations for how it works but what does science tell us. Inserting fine needles into your body stimulates a response from your brain. Your brain is able to release its own powerful 'opiod' painkillers. Acupuncture needling stimulates what we scientists calldescending pain control through stimulation of the limbic system - the part of your brain considered to be the emotional centre - and another area called the VPAG which release natural opiods into your bloodstream. Research shows that there is a cumulative effect to acupuncture - the more sessions you have the more opiod effects build up. Less pain and more feel-good! Protecting your body when playing sport & exercise. Exercise stresses your body. You don’t have to be an Olympic medallist. You may just love taking part, do it for social participation, general health, fitness goals, or wellbeing benefits. Your body needs the right amount and types of stresses. A 10 minute warm-up of gradually exposing our body to increased heart rate and increasing range and speed of joint movement prepares your body effectively. Warm-up makes a difference to how our tissues perform. You are less likely to injure tissue if you warm up in this way. How many times do you perform your exercise? What speed? If using weights, how heavy? How many hills are there in your program? Downhills count too for runners! Change training variables gradually. Do a few simple strengthening exercises for the quadriceps twice a week. For example, squats or lunges. This gives you stable, well supported knee joints. Work on posture, flexibility, and having core muscle control. We live in a world of sitting – try to break it up regularly. Simply standing up and sitting down again every 30minutes has a marked benefit in changing tension on tissues and improving circulation. Walk and stand more. Have 2 days a week where you don’t do strenuous exercise. This allows your tissues to recover, adapt, and strengthen. Training is the stimulus. Recovery is where your body changes. Approach sport and exercise in a structured and consistent way and you’ll really experience the benefits. Stress your body in a good way! Call me to discuss anything in this article. I've got a problem with my knee! Ever found yourself saying that? You’re not alone. Knees are important joint s and they serve us tremendously well most of the time but there are many causes of knee pain. The knee consists of the main knee joint or tibio-femoral joint, which has two compartments, and the patella-femoral joint, where the patella sits on the front of the joint. The main knee joint does the majority of the weight bearing and the patella-femoral joint acts as a pulley whenever we straighten our knee, stand, walk or run. The knee is supported by ligaments, has two weight bearing cartilages, several fluid filled spacers, and connective tissue. Then there’s the muscles controlling the knee- quadriceps, hamstrings and calf. These join to the bone around the knee by tendons. Caused when pressure on the back of the knee cap becomes too high and pain and swelling can result. These can occur during the strains of life or sport. Many heal themselves over 6 weeks but a more significant ligament injury may need more attention and cause an unstable knee. Twisting on a bent knee can cause injury to the meniscus cartilages. These show wear with age routinely but can cause pain and swelling if torn. Part of the cartilage has good blood supply and heals well, but part of it doesn’t and might need further attention. The joint surfaces are covered with a layer of a different type of cartilage. Wear of these of these is what’s known as osteoarthritis and most commonly affects the inner (medial) compartment. OA can also affect the patello-femoral joint. This isn’t always painful but can be for many people. A large band of connective tissue comes down the outside of the thigh and attaches near the knee. This is known as the ITB. It can become tight and irritate the tissue underneath it. This is quite common in runners. Strengthening the the bottom muscles, or gluts, can help this problem. Contact forces from the ground also influence the forces through the knee. Orthotic insoles can make real difference to some people. If you carry too much bodyweight your knees may hurt. Good weight management is really important if this is the case for you. People can experience knee pain due to poorly performed sports and exercise technique, or through poorly structured sports and fitness programs. Others due to inactivity and muscles being weak. The knee is an engineering system – if all the component parts are serviced or maintained adequately then you often find that the knee performs much better with less or no problems. Be kind to knees – they out number people two one! In the final part in my series on common complaints in the active retired I'm focusing on one of the most common musculoskeletal problems affecting people as they age- osteoarthritis of the knees. Our knees serve us tremendously well through our lives but not surprisingly by early retirement there may be signs of early wear and tear. Much of this is quite normal age-related change but it can be associated with pain, swelling, muscle weakness and difficulty performing everyday tasks such as gardening, walking and retired sports. Research evidence is clear that conservative treatment can be very effective in improving function and reducing symptoms The simple act of strengthening the quadriceps or thigh muscles requires some discipline in doing exercises but stronger thigh muscles are linked to significantly less symptoms and significantly greater ability to perform daily tasks. Acupuncture can be a good adjunct to rehabilitation. There is always the choice of a new knee joint but for many this is something to save as a last option, hopefully for many years to come. OA knees shouldn’t be a reason to stop people enjoying sports even as demanding as badminton, well into their sixties. Is it time to really focus on working on yours? Having worked hard all your life you should be pleased to reach your retirement. More than ever today's early retired enjoy very good health and retirement marks an opportunity for many adventures. Sadly our bodies are not infallible though and degenerative low back pain is the focus of the fourth part in this series. Our lower backs are load bearing structures. Some wear and tear is common but X-ray changes bear no significant relationship to how much bother you get from your back. What is important is how well the back works as a system and that’s about muscles, and joints, and movement control. Things can get tight and stiff and tissues become irritated; or sometimes the opposite, everything gets a bit looser and needs a bit more muscle support. Simple things such as getting fitter or stronger, general exercise such as circuit training classes have been shown to make a real difference to lots of everyday back pain. There are some great exercise classes available - my wife, Deb, a former physiotherapist who specialised in the elderly, runs some great ones in Victoria Park, Bristol. Visit www.debsfitness.com for more info. If exercising doesn’t work or you’re not sure this is right for you, a detailed and tailored physiotherapy program to match the type of back pain you are getting, can be the difference in keeping you active, happy, socially engaged and enjoying life more than ever. Please do contact me to discuss further if you have any questions you'd like to ask. Common Fitness Complaints of the Active Retired: Part 3, A pain in the neck! The third in my series on problems the active retired face focuses on age related neck pains - cervical spondylosis, degenerative changes, wear and tear, facet joint changes, arthritis - many names get given by your doctor- but it's the pain & tightness that bothers you! Know the feeling. A neck that’s got stiffer, sorer and generally bothersome. Know you’ll feel it when you’ve painted a wall, loaded the car, had to do lots of gardening. All things we’d love to be doing in our retirement and not helpful to feel like you’ve constantly got to avoid things, and retirement feels like a downhill road. It doesn’t have to be that way! Similar to the low back, X-ray findings commonly show some wear and tear but it ‘s how the spine functions mechanically that makes a difference to how much symptoms you get. Commonly the 5th and 6th bone in the neck wear the most. As well as the pain and muscle guarding, the lower neck joints and upper thoracic joints often get stiffer and stiffer. These poor mechanics are often the driver t to the symptoms. Exercises to keep the upper thoracic spine mobile are important to do. Swimming can help or hinder, especially breaststroke.The same goes for overhead racket sports. If you feel locked up in that area ,are being proactive, and still feel things aren’t loosening off then much more can be done in terms of manual treatment and specific exercises by a skilled physiotherapist. More than ever today's early retired enjoy very good health and retirement marks an opportunity for many adventures. Commonly maintaining health and fitness, and the benefits of social participation in running clubs, walking clubs, badminton clubs, and golf clubs means so much to the weekly well-being and happiness of the active retired. Sadly our bodies are not infallible and we all are more prone to the odd ache and pain with older tissues in our body. In the second part of a this series, we focus on an age old nuisance. Similar to the Achilles, our tendon can change in quality over time. Imagine the difference between a soft tender piece of fresh steak or an over-cooked piece of old goat! Both are meat but the quality of the tissue is quite different. Tissue changes can lead to irritation of where the tendon joins the elbow bone. This is commonly called tennis elbow and is typically triggered by lots of gripping, lifting and carrying activity. There’s no need to be stuck with it! Specific graded strengthening exercises have been shown to make a long term difference to these symptoms. Other treatments such as acupuncture can also help. Stretches for these muscles are also good to do. One of the keys to avoiding this problem is that spring comes and suddenly we spend hours on end in the garden transforming our little piece of paradise for the year. So take it easy. Build up slowly and gradually. And hopefully you’ll avoid the tissues complaining of the sudden changes in demands put upon them. May your retirement be active, healthy and well. Look after your body and it will serve you for years to come. Having worked hard all your life you should be pleased to reach your retirement. A chance to spend more time with those special to you, relax, and slow down a little, but above all else keep an active and rewarding life going. More than ever today's early retired enjoy very good health and retirement marks an opportunity for many adventures. Commonly maintaining health and fitness, and the benefits of social participation in running clubs, walking clubs, badminton clubs, and golf clubs means so much to the weekly wellbeing and happiness of the active retired. Sadly our bodies are not infallible and we all are more prone to the odd ache and pain with older tissues in our body. So here’s a rundown of common fitness complaints for the retired along with simple answers on what can be done to help these problems. In the first part of a new series, we focus on Achilles Tendinosis. The active retired are in good company here. This condition is experienced both by young athletes performing high repetitive loading activities but also the middle aged to early retired as the quality of the tendon tissue changes, becomes less elastic and less effective as a spring like mechanism, which the tendon is designed to function as. If your tendon feels thickened tight and painful this may be happening. A good quality physiotherapy assessment and a tailored rehab program can reap great results over just a few months. So often people put up this pain as if they are resigned to it for ever more and this is definitely not the case, so don’t let this hold you back this year. Check out my credentials under the Treatment & Fees section.